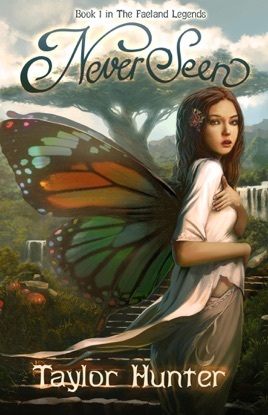 A young fairy, a deadly secret, and an elusive agency watching everything and everyone. How would you deal with everyday existence knowing that your sisters are telekinetic geniuses, your nightmares are shadows of a future plagued by death and destruction, and that half-completed astronomy assignment is due in about 20 minutes? It's no wonder that Emmaline O'Meern hardly sleeps. Every day with a normal life is hard enough, but trying to forget nightly terrors of raging fires and thousands of her people dying have made having a normal life practically impossible. With the finale of her school career approaching, Emmaline struggles to remain a not-so-average teen fairy without letting slip of her true, potentially destructive nature. As the next stage of her life begins and societal expectations clash with her inquisitive nature, Emmaline wrestles with who, and what, she really is. Will her closest friends, Tracer, Gator, and Sam, abandon her when she needs them most? Will she be able to protect her family when she doesn't know if they're trustworthy? And above all, will the horrific, recurrent vision of the greatest home-tree in the valley, Skyglass Temple, exploding in flames with the majority of the city's inhabitants inside, come to pass as Emmaline so desperately fears? An extraordinary adventure exploring the reaches of trust, friendship, and faith, NeverSeen is sure to sweep you off your feet and send you soaring through a world that isn't so different from our own. NeverSeen is the first volume in the Faeland Legends series.